General Motors Canada reported a 1.5% year-over-year sales increase in January with a total of 14,605 vehicles delivered across its Chevrolet, Buick, GMC, and Cadillac brands. Retail sales totaled 10,839 units, down 3.8% year-over-year, and fleet sales increased 20.2% at 3,766 units. Chevrolet’s sales for the month totaled 8,118 units, up 3.9% year-over-year and good for the brand’s best January since 2013. Bolt EV sales totaled 6 units in its first month, and vehicles seeing sales increases for the month included the Equinox (up 42.2%), Traverse (up 55.3%), and Volt (up 172.3%). Buick sales were up 40.4% at 942 units. 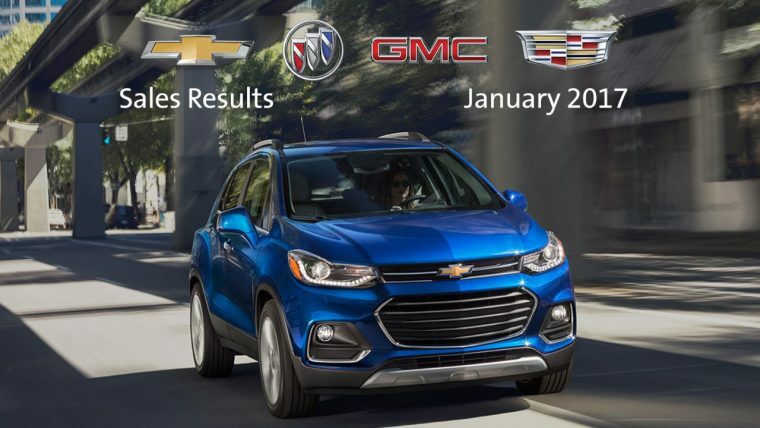 Sales of the Encore increased 85.3% at 341 units, sales of the LaCrosse increased 11.1% at 40 units, sales of the Verano increased 15.2% at 304 units, and Envision sales totaled 153 units. Retail sales were up 55%, good for Buick’s best single-month performance at retail since 2002. GMC sales were down 4.1% at 4,888 units, and Cadillac sales decreased 19% at 657 units.